This weeks giveaway is a really fun one. Something that I hope ALL of you take advantage of! SNAP will be a weekend full of fabulous events, parties, classes and workshops like Modern Handmade Crafting, Photography, Home DIY'ing and Party Planning! Basically, if you have a creative bone in your body (yes, even if it's just a pinkie toe) you MUST come this next year, to SNAP! And don't worry... you DON'T have to be a blogger to attend. While we WILL be touching on blogger type subjects in some classes, there will be something for everyone, and tons of new like-minded friends to mingle with! The SNAP! creative conference will be held at the beautiful Thanksgiving Point Venue, during the amazing tulip festival. The grounds, shopping and food... are one of a kind. Like I said before, SNAP will be filled with wonderful, educational classes and workshops the whole weekend. In fact, Mandie and I are positively just giddy with excitement over the teachers and classes that we have secured for the Home DIY portion of SNAP so far! To check out the first round of talented speakers, that have been announced for SNAP! 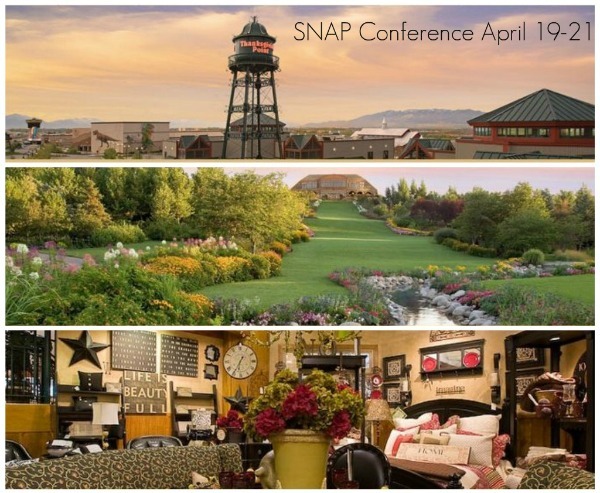 2012, head on over to the SNAP conference blog! Are you getting as excited as we are!? Are you gearing up for a weekend full of creativeness new friendships and networking? Become a subscriber to the SNAP! blog. This will be the best way to stay updated on new speaker line-ups, parties and info about the conference. Also on the blog you'll find guest posts from some of your favorite bloggers! Ex: I'm entering to win a full pass ticket to the #SNAPconf over @houseofsmiths blog! Will you be going!? Ex: Have you heard about the creative conference #SNAPconf in Utah 2012? I'm entering to win a full pass ticket over @houseofsmiths today! Please make sure to leave a separate comment for each entry, for a better chance to win, along with your email address so we can contact you if you're our winner! I'm so excited to find out who the winner will be for this giveaway, because I actually get to meet them, if I don't know them already. yay! Good luck everyone, and happy entering! I 'like' snap on facebook!! I am DYING to go to this! I subscribe to the SNAP! blog! I like SNAP! on FB! I follow SNAP! on Twitter. I subscribe to the SNAP blog! I'd love to win a ticket to go to this! I follow the SNAP blog! This would be SO exciting to win! I am now following the SNAP Blog! I like Snap on FB! Now following the SNAP! blog! I follow Snap on Twitter! I subscribe to the Snap blog! I now like snap on facebook! It would be so exciting to be able to go to this conference! I became a subscriber to SNAP. It would be great fun to be able to attend SNAP! I like SNAP on facebook. I like SNAP on facebook! Following SNAP the blog :) Thanks for the chance to win!! i follow the SNAP! blog!! I'm a follower of the Snap Conference blog - and I am PRAYING to win a ticket! I want to go sooo bad!! I like Snap the Conference on Facebook! & I tweeted it here!! I am subscribed to SNAP blog! I also follow @SnapConf on twitter also! I subscribe to the snap blog!! I added SNAP to my google reader! I follow the SNAP! blog! I like SNAP! of FB! I subscribe to the SNAP! blog! I am dying to go! I "like" SNAP! on facebook! I like @SNAPconf on twitter! ... and I'm following on Twitter. Hope I win!! I am already a follower of your blog, this sounds so exciting, I want to go so bad. It looks beautiful there. I liked SNAP on facebook. We are dying to go to @snapconf this year! You can enter to go for free at @houseofsmiths! Oh I want to go so bad!!! I subscribed! I'm a follower of the SNAP blog! I would love, love, love to go!! I just subscribed the Snap blog! woot woot! I just "liked" Snap!the conference on FB! This sounds so fun! I subscribed to SNAP the blog. Jenni K.
I also liked them on facebook:) Jenni K.
I'm dying to win, & meet you Miss Shelley! This would be a great opportunity to take my little blog to the next level! Liked Snap on Facebook!!! I want this! I follow SNAP on Twitter. Hi my name is sandy and i liked snap on facebook but cant fiqure out how to send my email address with out posting the the wall for every one to see. I so so so want to win the tickets for the snap confrence i would love to meet you pleated poppy and gussy sews i love all your blogs!!!!! My email address is simply1sweet@gmail.com if you could help me out that would be great thanks, so sorry i am not that facebook savy! Thank you for telling us about this event! I never heard of it! I am the NEWEST follower on their blog!! crossing my fingers I WIN!!! I liked SNAP on fb! I'm following SNAP on Twitter! I tweeted about this giveaway @blurobincottage! I'm following the SNAP blog! I'm a Fan of SNAP on Facebook! I just subscribed to their blogs and updates on my reader as well! This event sounds great! Posted a tweet about this giveaway! I follow the SNAP blog! Would LOVE a chance to go! I also liked Snap on facebook! I follow the SNAP blog!! Ok---I just subscribed and totally want to win...the conference is just down the road from my house. It sounds totally fun. I am a subscriber to the SNAP blog! Just tweeted about how BADLY I want to win a SNAP! ticket! Follow SNAPconf on Twitter! pick me! pick me! pick me!!!! I blogged about SNAPCONF! I sure hope that counts as an entry! It's one of only 3 things on my wish-list! Santa, please can I go? I subscribe to the blog! And yes I stay up WAY TOO late! i subscribe to snap! blog! thank you so much for the opportunity, i have been wanting to attend and this may be the year! i like snap conference on facebook as chacoyaguayo/livinginlalaland! i follow snapconf on twitter as living_lalaland! I follow the SNAP! blog. I 'like' the SNAP! facebook page. i subscribe to the SNAP blog! Please pick me! I like SNAP on facebook, too! I subscribe to the SNAP! blog. I'm a SNAP email subscriber. I follow the snap blog! Oooo I would LOVE to be there! I subscribe to the blog. I follow snap on Facebook and "like" you all! I like SNAP on facebook under Live.Laugh.L0ve. I need to get my creative juices flowing! I neeed to win! I want to go soooo bad. I follow snap's blog! I like snap on FB. It looks amazing! I have never heard of it before,living here on the east coast you miss out on stuff! I tweeted about the Snap conference! Just tweet tweet tweeted about the giveaway!! #willdoanythingtowin! I am subscribed to the SNAP! blog!